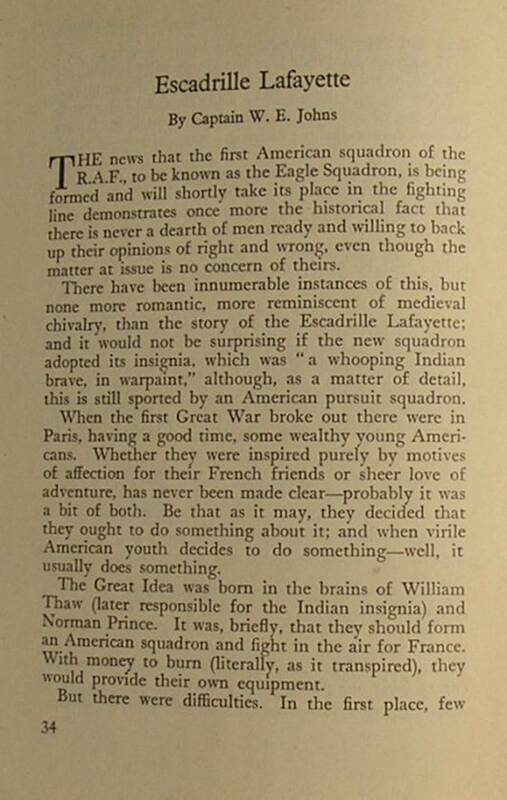 This three page article is about the Americans in France who formed the famous squadron, fighting for the French, in the First World War. “The Great Idea was born in the brains of William Thaw (later responsible for the Indian insignia) and Norman Prince. It was, briefly, that they should form an American squadron and fight in the air for France. With money to burn (literally, as it transpired), they would provide their own equipment”. “Other Americans in France, inspired by the scheme rallied round. 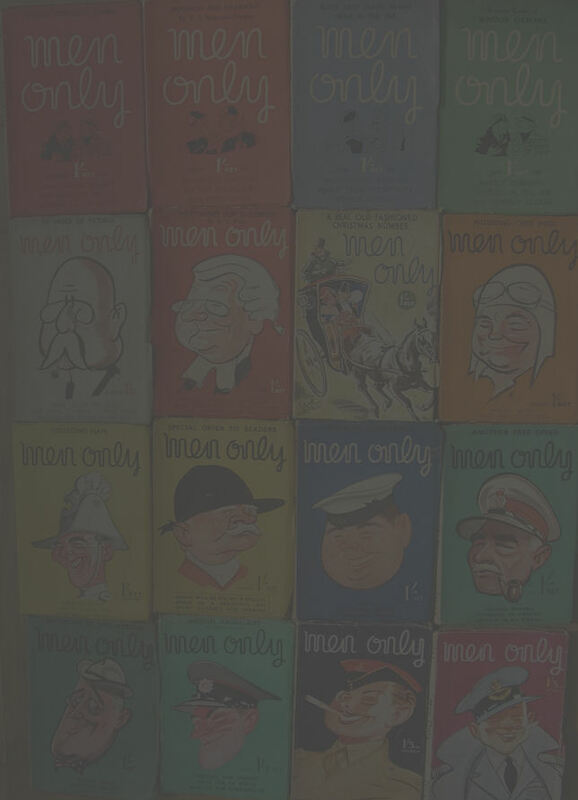 Came James Bach, son of a millionaire; Elliot Cowdin, a Harvard graduate; James McConnell, a writer of note; Bert Hall, free-lance pilot; Kiffen Rockwell and Victor Chapman, all types who to-day would probably be called “playboys”. These were the original members of the Escadrille that was to achieve glory – at the usual price – and make the Indian head a hall-mark of valour. With the exception of Thaw, who was made a lieutenant, this exclusive party accepted N.C.O. rank. By the end of the war only one of these cavaliers was still fighting”. “The Escadrille went into the line near Verdun. The members wore French uniforms and flew French planes”. “New members began to arrive to take the places of the fallen”. “The story would not be complete without reference to an item which became famous in France, for which the Escadrille was responsible. It was the celebrated Lafayette Cocktail, guaranteed to knock a man down as effectively as a bullet”.